Thai fusion spot Pr&ince is now officially open at 80 Wayne St. 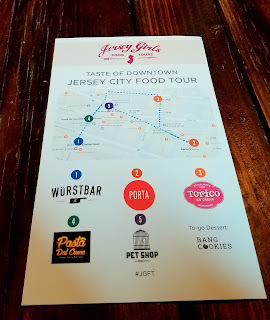 Recently, I was invited to join Jersey Girls Food Tours on a downtown Jersey City tour. If you're not familiar with Jersey Girls Food Tours, it's a Jersey City-based company that organizes food tasting tours in Jersey City and throughout New Jersey. I'd been on a tour a few years ago when they first started up, but over time they've grown and modified the structure of the tours, so it felt like a brand new experience. 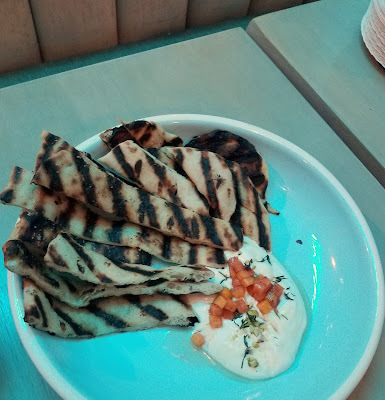 The concept behind the tours is to offer attendees a chance to try a bite or two at every spot while learning a little more about that particular restaurant, the chefs, and to give everyone chance to get to know more about the story behind the restaurant and the food. 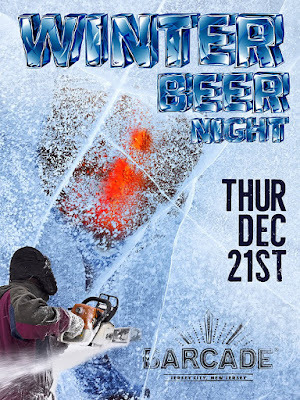 Join Barcade this Thursday, 12/21 as they host Winter Beer Night with a specially selected tap list including Christmas ales and several stouts. 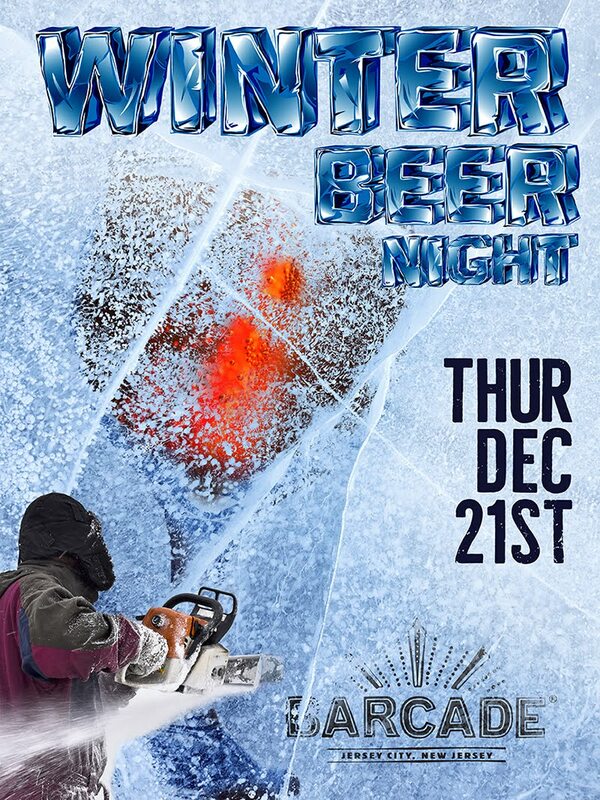 All kegs will be tapped at noon and the event will go until closing. Frankie has introduced a new happy hour. Tuesday through Thursday from 5-7pm, they'll have half-priced wine by the glass, $8 cocktails, and $20 pitchers. New restaurant Tropix: A Taste of Guyana, 733a West Side Avenue, is opening their doors to the public as of today. Community News: La Unica Bakery opens, Corgi Spirits JAX Fundraiser, Graze and Braise new menu, and more. Congratulations to La Unica Bakery which opened for business at Central Ave last week. A Chinese-Cuban bakery, La Unica has another store in Union City and they offer specialties like coffee, bubble tea, Cuban empanadas, breakfast sandwiches and more. 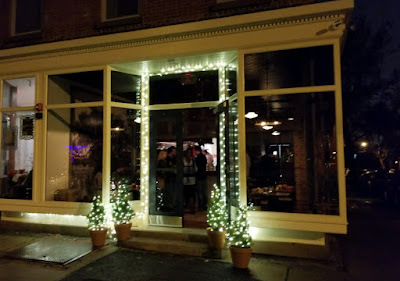 Square 1 will be celebrating its first year in business this Tuesday, 12/12 with a special party from 7-9pm. Tickets are $45 each and an RSVP is required. Jersey City is expecting its first snowfall this weekend, but don't let that stop you from enjoying your weekend! 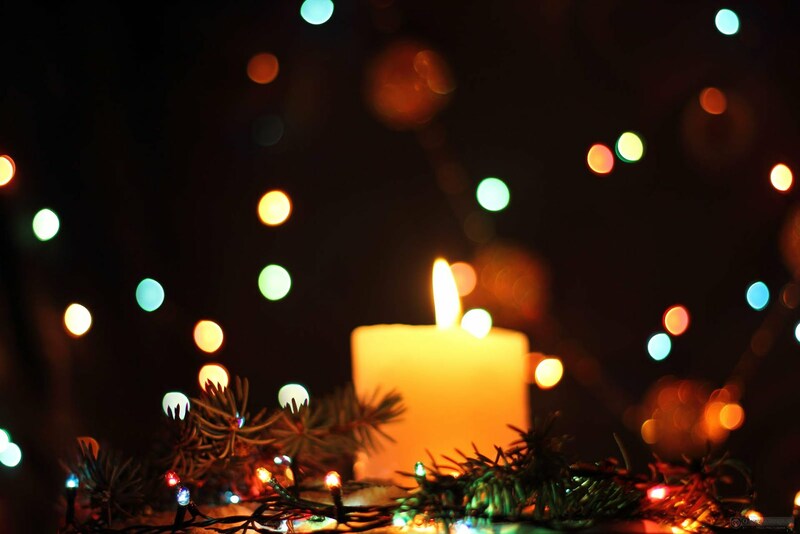 Head the to multiple holiday markets and festivities going on throughout town and enjoy the season. Graze and Braise has launched a new winter menu (including two vegan dishes) and orders for next week are due in by 10pm tonight. *UPDATE* This event has been postponed and will be rescheduled for a later date, TBD. Join Pasta Dal Cuore, 527 Jersey Ave, next Tuesday, 12/12 for a special six course dinner with wine pairings from CoolVines. 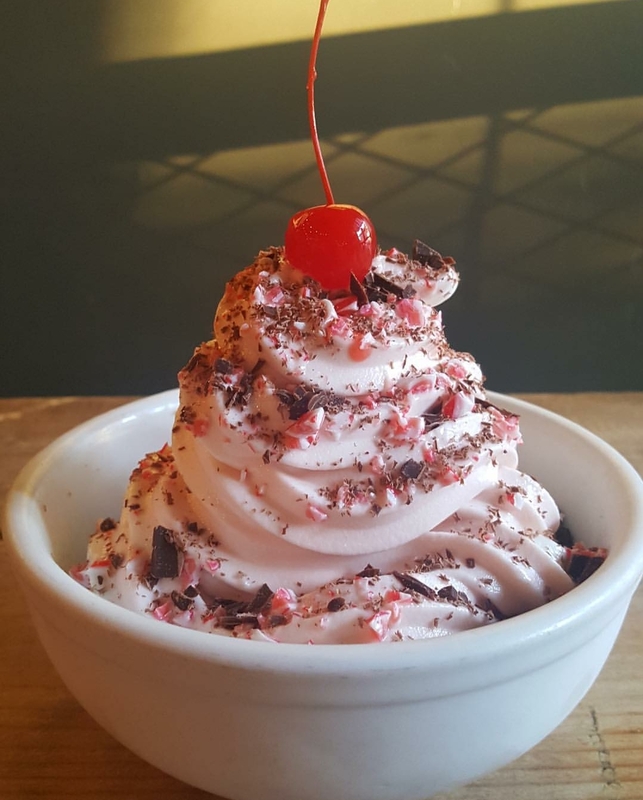 Porta has launched a new winter dessert: a peppermint and vanilla bean gelato swirl sundae with crushed candy canes, dark chocolate, and a cherry on top. It's the first weekend in December, and the holiday season is kicking into high gear. 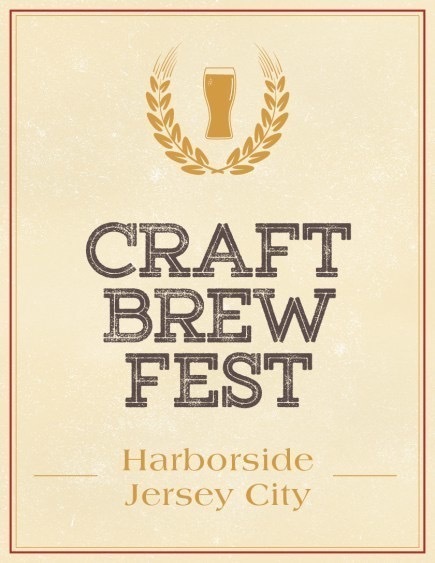 See what's happening around Jersey City. 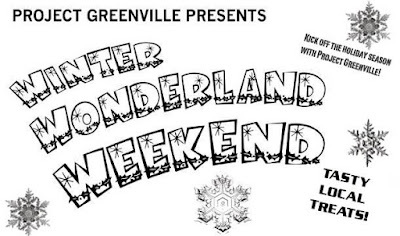 Project Greenville is hosting their two day Winter Wonderland from 5-8pm. 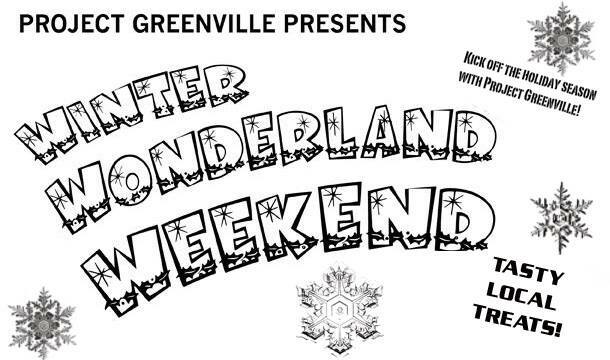 They'll have winter/holiday themed art on display, treats from Neptune Bakery, hot cocoa, a children's toy drive bin where you can donate new or gently used toys, and possibly marshmallows by the fire. Wurstbar, 516 Jersey Ave, is launching a new menu this Friday, 12/1! They're keeping their current menu of already excellent sausages and hot dogs and are expanding the menu to include a selection of burgers, more poutine options, snacks, and more. Project Market returns this weekend, running both Saturday 12/2 and Sunday, 12/3 from 11am-6pm. They'll have lots of great vendors featuring vintage, specialty, and hand-crafted goods for all your holiday gifting needs. We're officially into the holiday season and while there's plenty of parties, food, drinks, and winter traditions to enjoy, there's also a lot of shopping! Luckily, Jersey City has a number of options to help you shop locally and have fun while doing so. 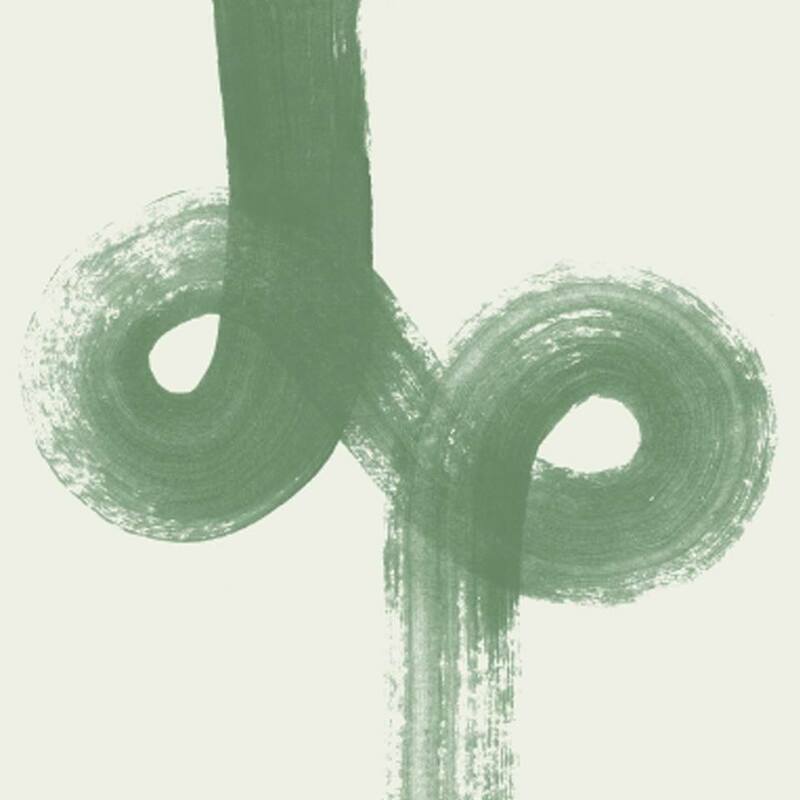 The Oak on Pine will celebrate their Grand Opening this Tuesday, 12/28 beginning at 5pm. Congratulations to Bambino Chef, Wonder Bagels on Central Ave, Oh Honey, Lutze Biergarten, Hamilton Inn, and Hamilton Pork for their features in the most recent Jersey City magazine by the Hudson Reporter. Beginning Dec. 4th, the Journal Squared location of Whealth will be open until 8pm. To celebrate, they will be hosting a tree-lighting at 7:30pm. Taphaus Paulus Hook at 201 Marin Boulevard is now open. 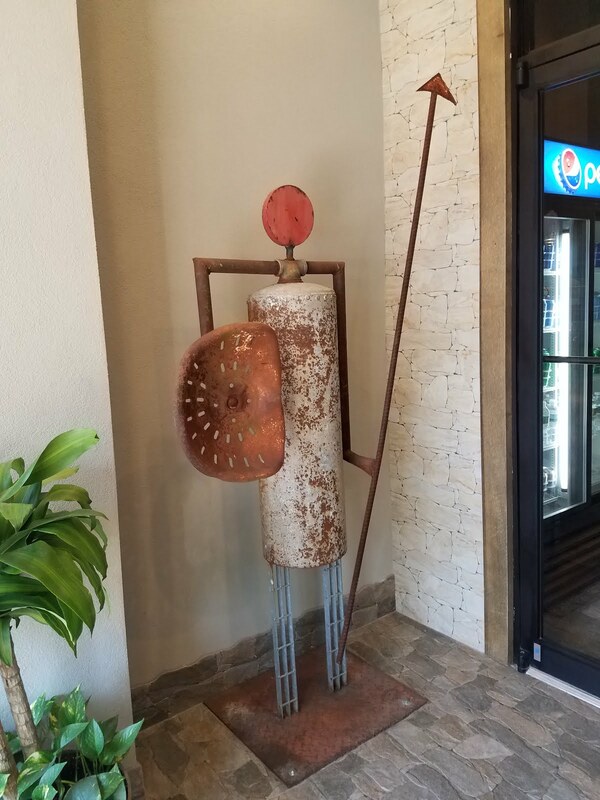 It's located in the former Tilted Kilt spot and is the third location of Taphaus. 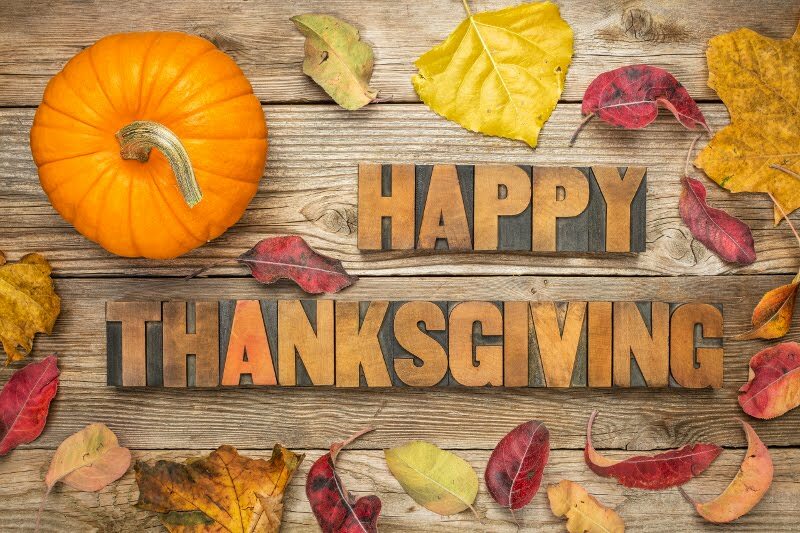 If you're celebrating Thanksgiving in Jersey City, here's what's going, who will be open, and who will be closed. 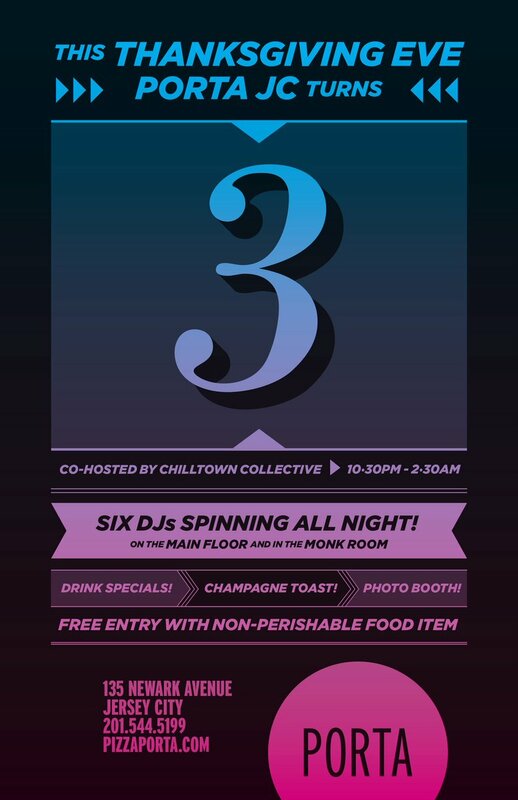 Porta is celebrating their third anniversary in Jersey City with drink specials, a champagne toast, DJs, and a photo booth. The party starts at 10:30pm and entry is free with a non-perishable food item. Last weekend, Cool Vines launched their second collaboration with Transmitter brewing, CV2 - a bottle conditioned saison aged for a year and then conditioned on top of bluberries. 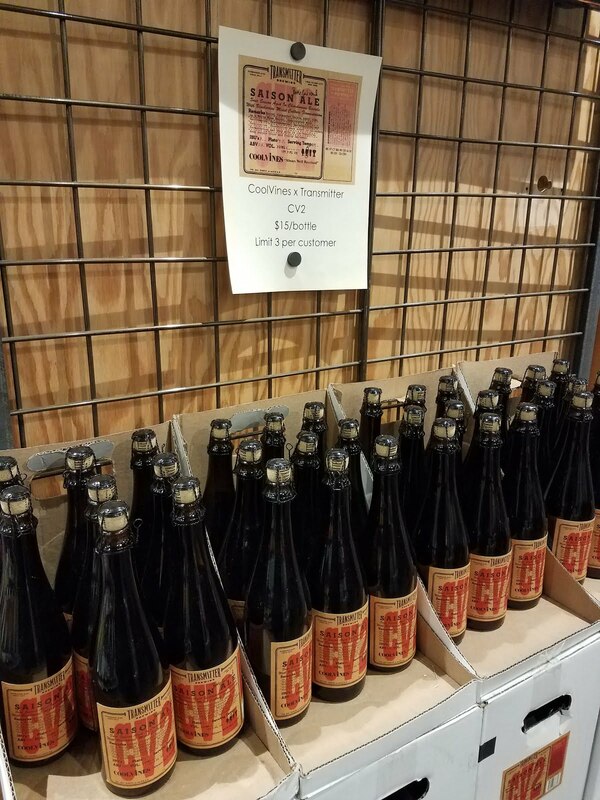 They'll only have 348 bottles available for sale. 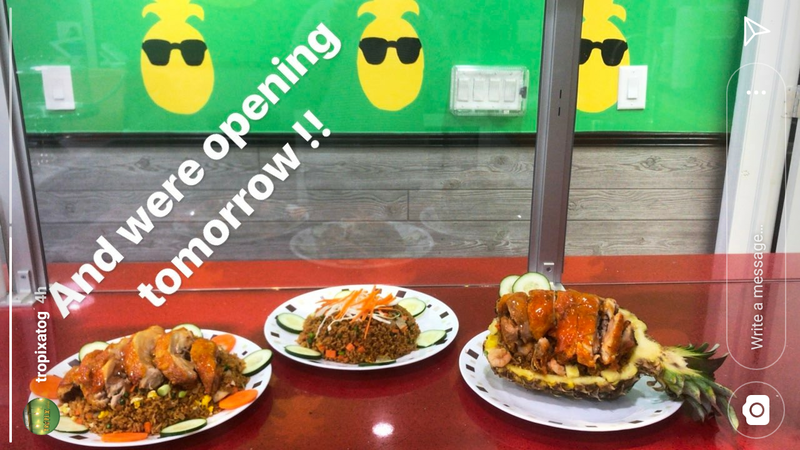 New Caribbean-inspired restaurant Harry's Daughter has opened in the former Nu Bar space at 339 Communipaw. They're still in the soft open phase, but expect to be open permanently soon. Dark Side of the Moo is celebrating their second anniversary on Saturday, 11/25 with $2 deluxe cheeseburgers and veggie burgers and $2 off any game burgers or the alligator sausage sandwich. 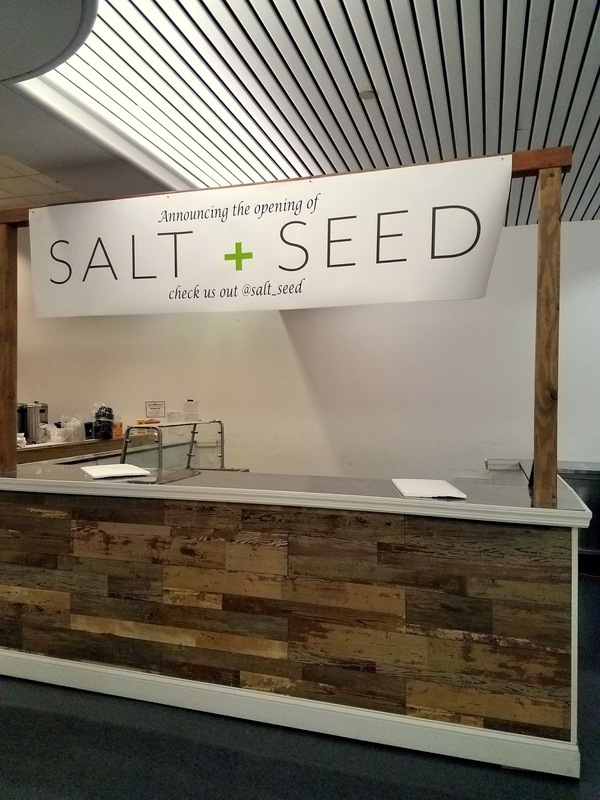 Two new food stalls, Salt + Seed and Angry Archie's, are joining the ranks of Harborside's pop-up vendors. 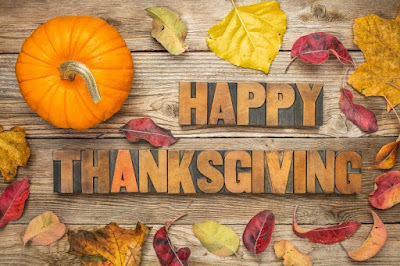 Thanksgiving is coming up quickly so here's your guide on where to order your turkey, sides and desserts or where to simply make reservations in Jersey City. Bone-In is offering two kinds of farm-fresh turkeys, a heritage breed for $8.50/lb and a broad-breasted for $7/lb. A $25 deposit is required which will be applied to the total cost of the turkey. They also have a variety of vegetables available for order. Moloney's Meat Market in Journal Square has fresh turkeys ranging in size from 9-34 lbs. This Saturday, join LITM as they celebrate their 14th anniversary with a Disco Party. They'll have retro cocktails, cake and a champagne toast, a DJ spinning disco, and $7 specials. 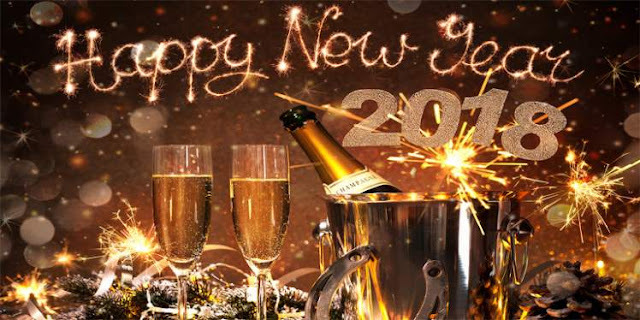 The festivities start at 5pm and while disco wear is encouraged and celebrated, it is absolutely not required. Porta is hosting a "Crafts and Carafes" Thanksgiving decoration-making event for both kids and adults next Thursday, 11/16 at 6:30pm. 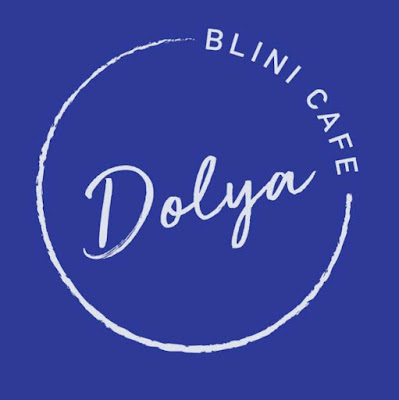 New Eastern European spot, Dolya Cafe, is coming soon to 128 Newark Avenue by Grove St. on the Pedestrian Plaza. Sam a.m.'s new dinner concept, The OAK on Pine, is getting closer to opening their doors and in the meantime, they've launched a supper club. Wurstbar is celebrating Dogs for Dogs all November long. 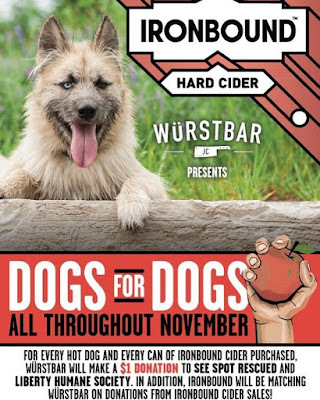 For every hot dog and can of Ironbound Cider purchased, Wurstbar will donate $1 to See Spot Rescued or Liberty Humane Society. In addition, Ironbound will match any donations made from cider sales. Congratulations to Baonanas on their Grand Prize win of $15,000 from JCEDC as part of their business acceleration program. 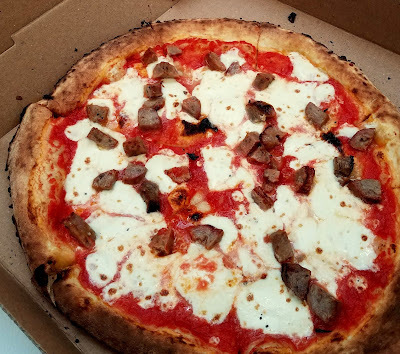 Per Jersey Digs, Artichoke Basille's Pizza is expanding into New Jersey including Jersey City. Jersey City elections are right around the corner and I wanted to offer the opportunity to get to know the candidates a little better and let people learn more about who's running to represent them. These interviews are available to any candidate running in Jersey City and are not indicative of an endorsement or political support. If you're interested in learning more about any of the candidate's policies, please click on the links to read more. 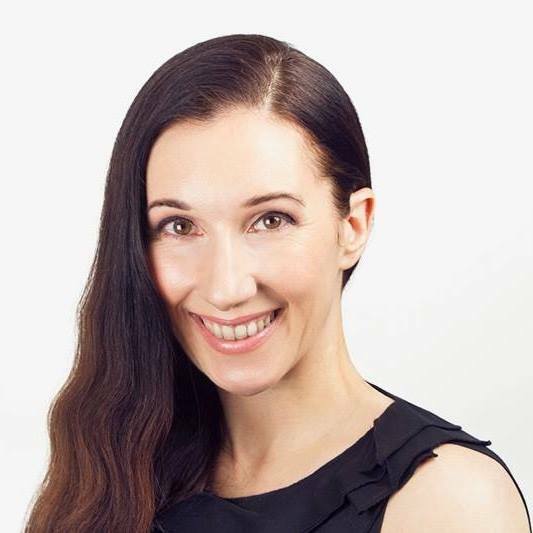 Read on to learn more about Mira Prinz-Arey, running for Ward B City Council. 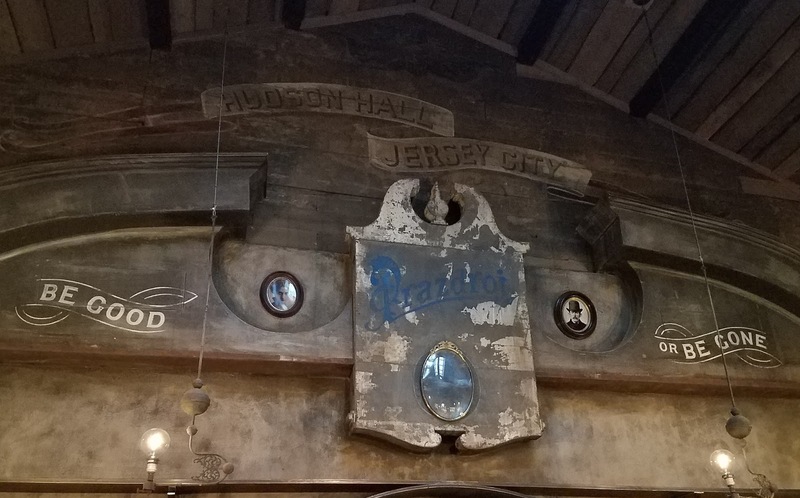 What are some of the changes you've seen in Jersey City in the time that you've lived here? What changes would you like to see in the next four years? Jersey City has really made a name for itself in the time I’ve lived here--especially downtown. But even with our growth, there is still a real small-town feel--everybody knows everybody. The events in the park--Six-Ward dinners, neighborhood festivals, movie nights--have strengthened communities. Read on to learn more about Madeleine Giansanti Cag, running for Ward E City Council. I’ve lived in Paulus Hook since 2004, at that time the only residential high rise in downtown, outside of Newport, was Portside Towers. So the number one difference from 2004 is the amount of high-rise living. 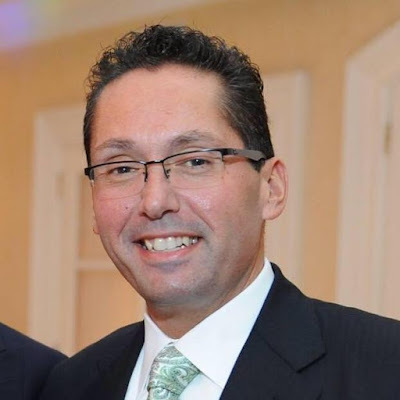 Read on to learn more about Rolando Lavarro, running for Council At-Large, 1B with Team Fulop. Jersey City has changed tremendously since I was a kid. It seems almost unbelievable now, but Downtown used to be a pretty rough area. Greenville, where I grew up, was a safe and thriving middle class neighborhood. Journal Square was once a bustling transportation hub surrounded by grand movie houses and high-end shopping. 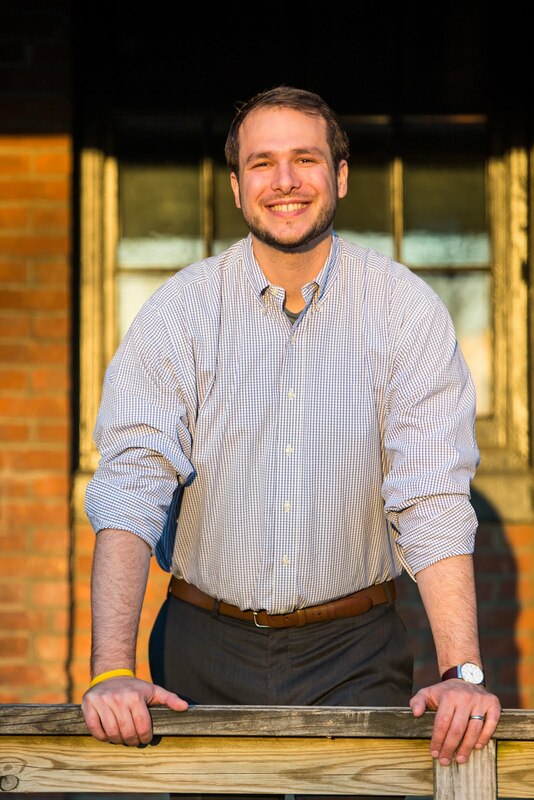 Read on to learn more about James Solomon, running for City Council for Ward E.
The sense of community that made me fall in love with downtown JC remains, but so many residents talk to me about their worries that it will be lost. Many lose sleep over Newark Ave turning into a second Hoboken; waterfront towers that are built to keep their residents inside them and outside of our neighborhoods; and the displacement of the Latino community. 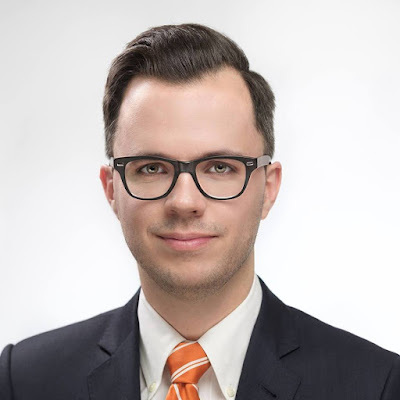 Read on to learn more about Nicholas Grillo, running for Downtown Ward E Council, ballot position 7C. As the only candidate that is from Jersey City the answer is A LOT. In the past 37 years there is little about Jersey City that hasn’t changed. More development, more parks, more people. Jersey City wasn’t always a place people wanted to be and now it is arguably one of the best mid-sized cities in the country. A lot has been accomplished. That being said, with change and growth comes new challenges and over the next four years, my hope is to be elected as Councilman to help try to solve them. For instance, I think we need to work alongside developers to get better give backs for our community. We need more schools especially in Downtown where overcrowding is becoming more of an issue. We also need to work alongside other local and statewide elected officials to demand the Port Authority actually service the needs of Jersey City, Harrison, and Newark. We need to work on pedestrian and street safety and implement a Vision Zero plan that will eliminate traffic fatalities and serious injuries. It is also important to focus on basic quality of life issues and real change that we can effectuate on the local level. We'll also need to work through the reval. Jersey City elections are right around the corner and I wanted to offer the opportunity to get to know the candidates a little better and let people know who's running to represent them. These interviews are available to any candidate running in Jersey City and are not indicative of an endorsement or political support. If you're interested in learning more about any of the candidate's platforms and positions, please click on the links to read more. I moved to Downtown Jersey City in 2005, the day after I graduated from Montclair State University. My first apartment was in the Village. The walk down Newark Avenue has changed dramatically since then. When I moved here I almost exclusively met friends in the city on the weekends. Now, friends from the city come to meet me here and we hang out at any of the great places along Newark Avenue. It's been a particularly busy season for restaurants and eateries opening in Jersey City so it's easy to have missed a couple along the way. To help make it easier, here's a round-up of everything that's opened recently. Frankie - An Australian-inspired restaurant and bar, specializing in natural wines that opened in mid-October. 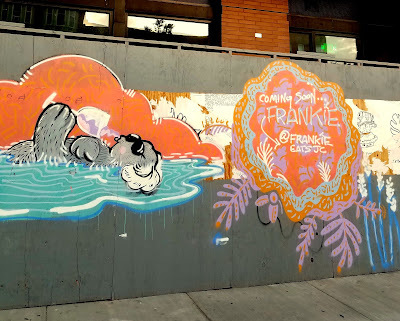 Located at 264 Grove Street, Frankie is open from 5pm onwards Tuesday through Sunday. 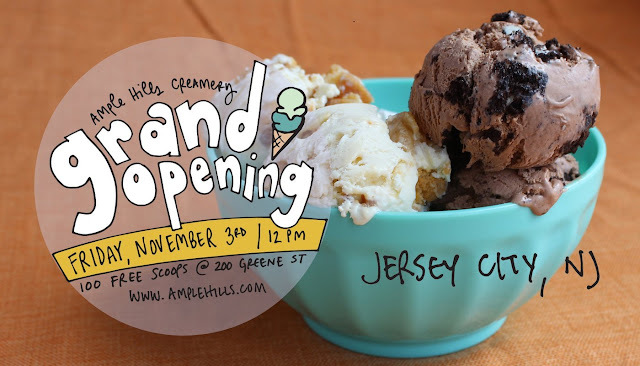 Brooklyn-based ice cream maker Ample Hills Creamery has announced they will be opening their new Jersey City location this Friday, 11/3 and the first 100 guests will receive a free scoop of ice cream. Bang Cookies has finished their renovations and opened this weekend at 1183 Summit Ave. 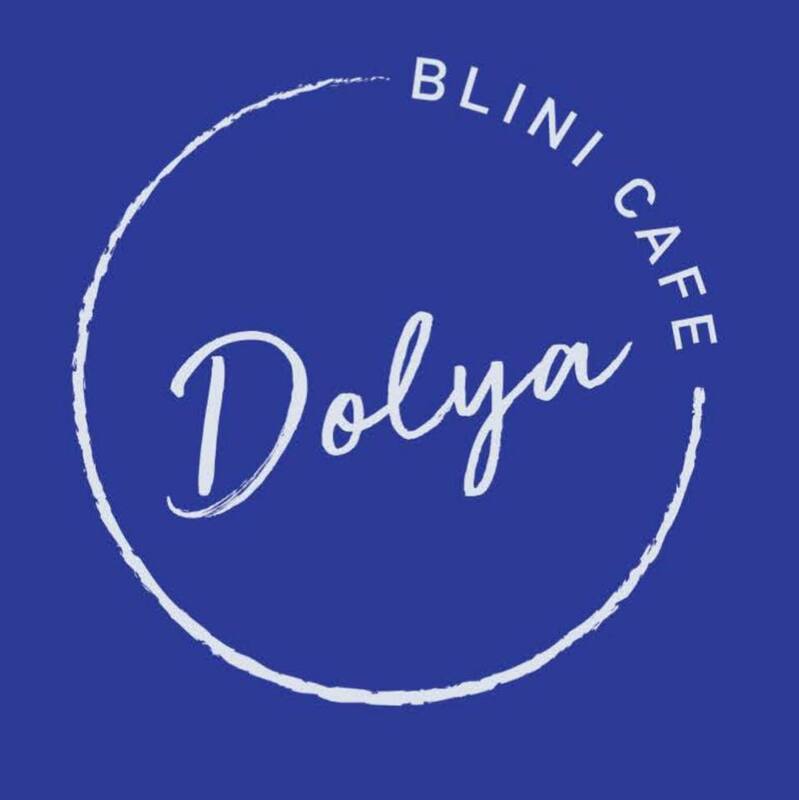 They will be open from 11pm-11am. Jersey City is home to five of the 20 best Italian delis in Hudson County, according to this list put together by The Jersey Journal/Yelp: Milano's, Monmouth St. Deli, Salumeria Ercolano, Carmine's, and of course, Andrea Salumeria, which was named as the best in New Jersey last year. 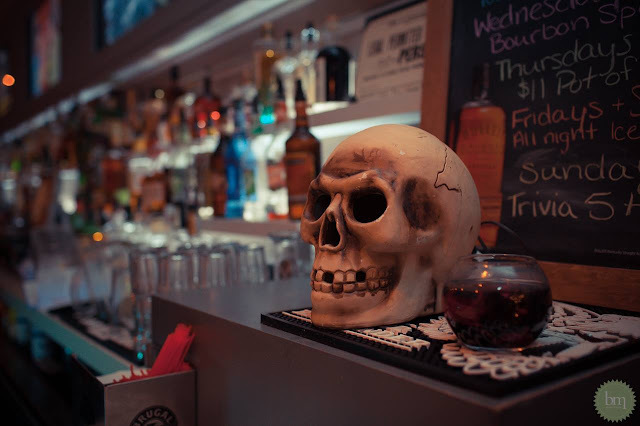 Join LITM for the start of a full weekend of Halloween festivities with their Two Nights In Neverland - they'll have music, dancing, $7 iced tea cocktails all night, and food specials. Fox and Crow is also joining in the two night party fun with Friday and Saturday nights themed as a Twin Peaks Halloween Weekend. The Parlour will transform into the Black Lodge, they'll have live music, homemade cherry pie, coffee cocktails, and costumes are encouraged. 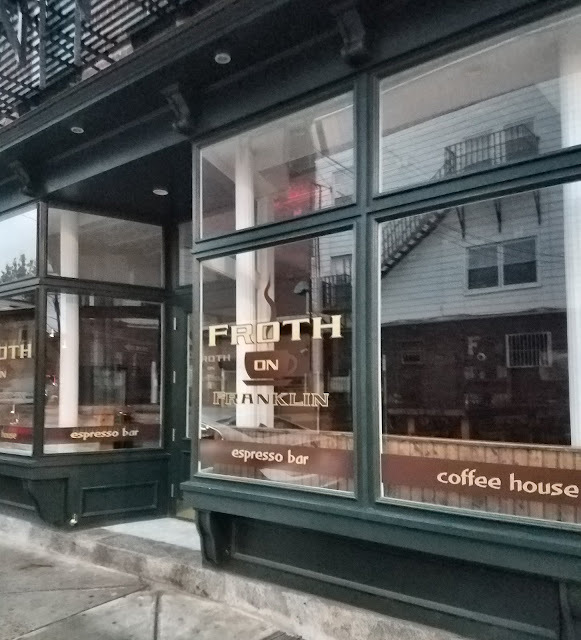 Froth on Franklin is scheduled to launch their soft open this Thursday at 7am. 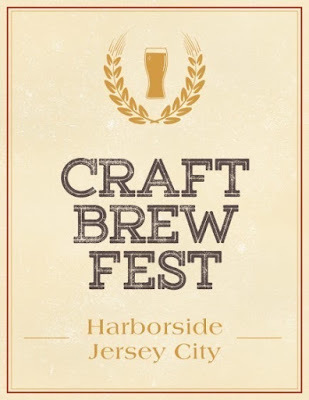 The Jersey City Craft Brew Fest returns to Harborside on Saturday, November 18th. 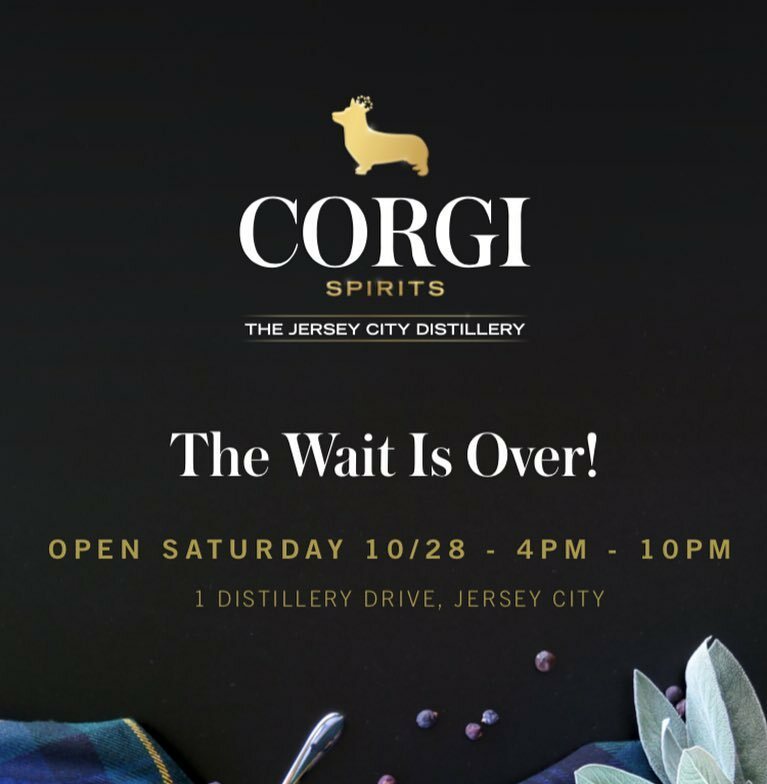 Community News: Corgi Spirits Opening, Food Truck Permits, Graze & Braise at Grove St.
Corgi Spirits is opening to the public this Saturday! The initial opening celebration will run from 4pm-10pm and then they'll be open regular hours the following week. 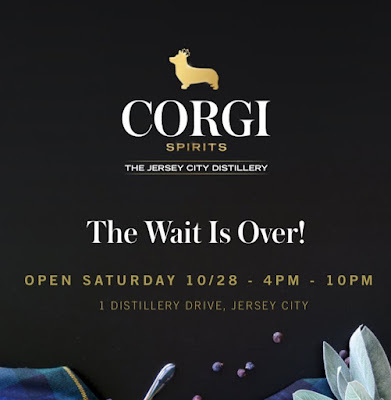 Corgi Spirits will offer both distillery tours and information and a tasting room with a selection of specially-crafted cocktails featuring their distinct spirits. 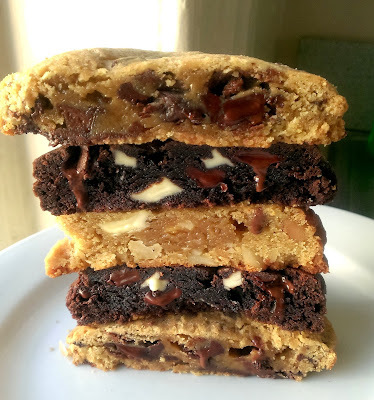 Congratulations to Milk Sugar Love whose Mac Daddy ice cream cakes were featured on Thrillist. Congratulations to Pasta Dal Cuore who Maltagliata Pugliese was recently named one of the 35 best pasta dishes in New Jersey by Pete Genovese. Join Hudson Hall as they celebrate their Grand Opening and Ribbon-Cutting beginning at 4pm with live music, $5 house beers, and $10 pastrami sandwiches. 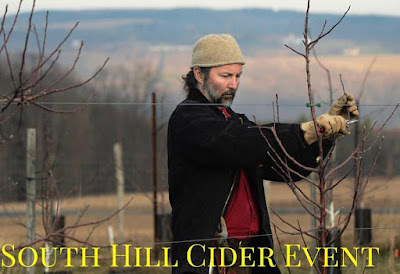 Wurstbar is part of this year's NYC Cider Week and to celebrate, they'll be hosting a meet and greet with Steve Selin of South Hill and Phonograph Ciders starting at 5pm. They'll be offering five of his excellent ciders by the glass and will also be featuring a cocktail using his pommeau. Join the Exchange Place Alliance as they host a hay maze and pumpkin patch in the Urby Parking Lot at 200 Greene Street from 11am-7pm. They'll have it both this Saturday and Sunday and next Saturday and Sunday. LITM has a busy month full of Halloween activities including their Ghost of Uncle Joe's annual afterparty at 10pm with $7 iced tea cocktails and $7 nachos. Piggyback Bar opens this weekend for brunch, beginning at noon, and they'll also be offering dinner service on Saturday and Sunday. Join LITM for their Hurricane Irma Relief Concert along with Brockman's Gin and Out of the Margins Artist Alliance beginning at 9pm. $10 suggested donation. Frankie, the Australian-inspired natural wine bar and eatery, is launching their soft opening to the public today. 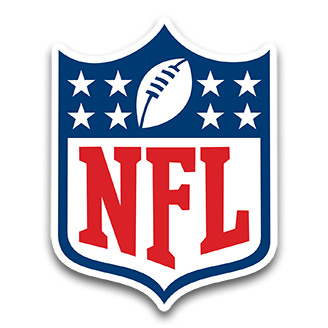 This has certainly been an up and down football season and people all around the country are finding new reasons to tune in. Whether you're watching to show support for those taking a knee or just because you care how your team is doing, Jersey City has some great options for where to watch. 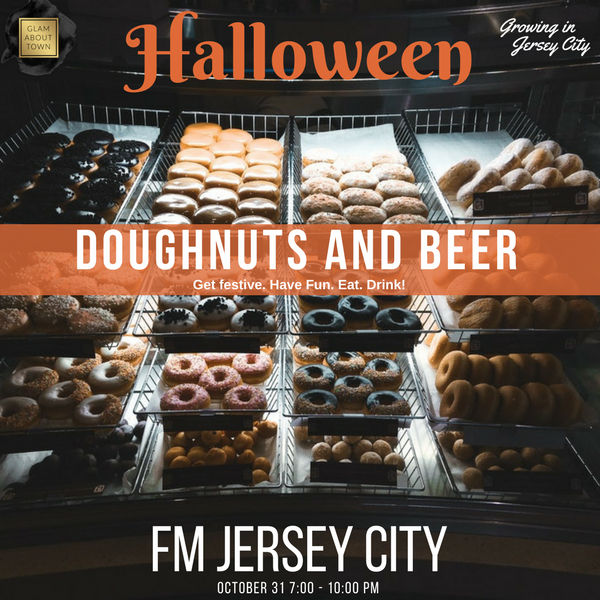 Growing in Jersey City and Glam About Town are hosting a special Halloween Doughnut and Beer Tasting at FM on Halloween night from 7-10pm for $35/person. There are four pairings and the doughnuts are being provided by Glazed & Confused. Australian-inspired natural wine bar and eatery Frankie will be opening to the public for dinner this week. 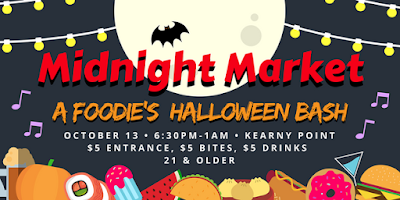 Midnight Market is hosting a special foodie Halloween Bash in Kearny beginning at 6:30pm and running until 1am. All food and drinks are $5 and vendors like Dulcinea, Eemas, Angry Archie's, and Delenio will be there along with many more. The Harsimus Cove Cemetery is hosting a screening of the Rocky Horror Picture Show from 7:30-10pm. Snacks will be available for purchase and blankets, costumes, and audience participation are all encouraged. Frankie, the long-awaited contemporary Australian bar and eatery at Charles & Co., is preparing to launch their soft open. While they haven't announced a specific date, it's on track to open within the next week. 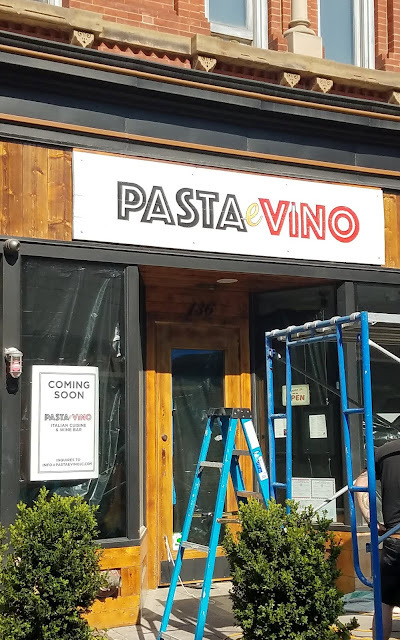 The transformation of Raval into Pasta e Vino has finished and Pasta e Vino celebrated their soft opening this weekend. Uncle Momo, a French Lebanese spot from Montclair, also opened their Jersey City location to the public this weekend. 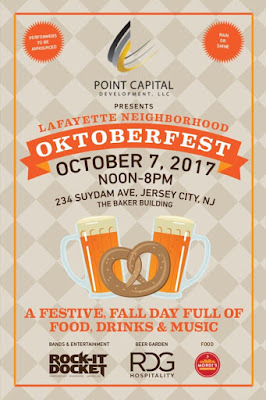 Join Point Capital Development, Lucky 7's, and RDG Hospitality for the Lafayette Neighborhood Oktoberfest. 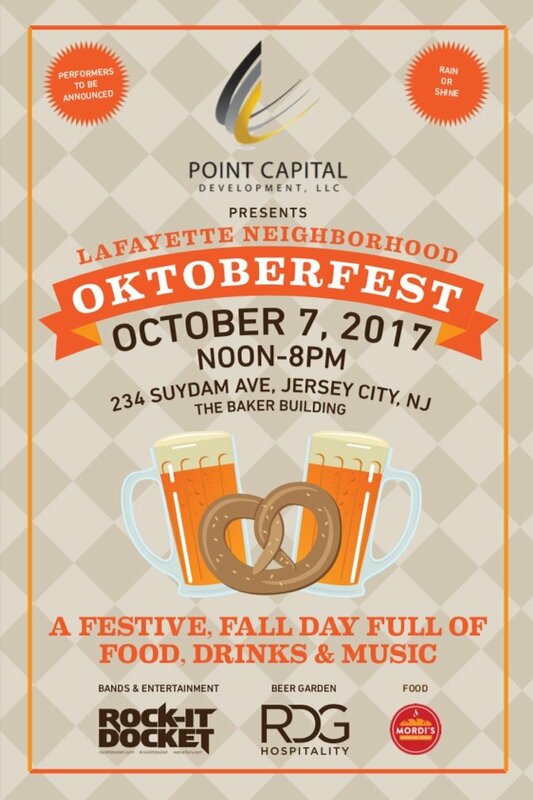 The party begins at 12pm and runs through 8pm at the Baker Building, 234 Suydam Ave - there will be music, drinks, food from Mordi's Schnitzel, and more. 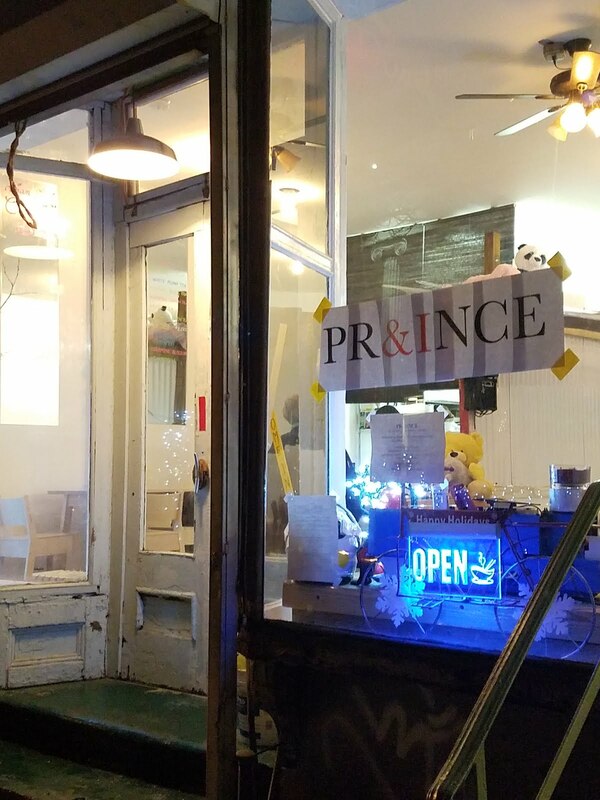 Uncle Momo is opening this weekend in the former Marco and Pepe space at 289 Grove Street. LITM is known for their lively Halloween costume parties and this year is no exception. In fact, they're leading up to their Halloween party with a full month of costume-friendly celebrations including an after-party for ComiCon, for the Ghost of Uncle Joe's Annual concert and hurricane relief concerts. Read on to see what's happening. 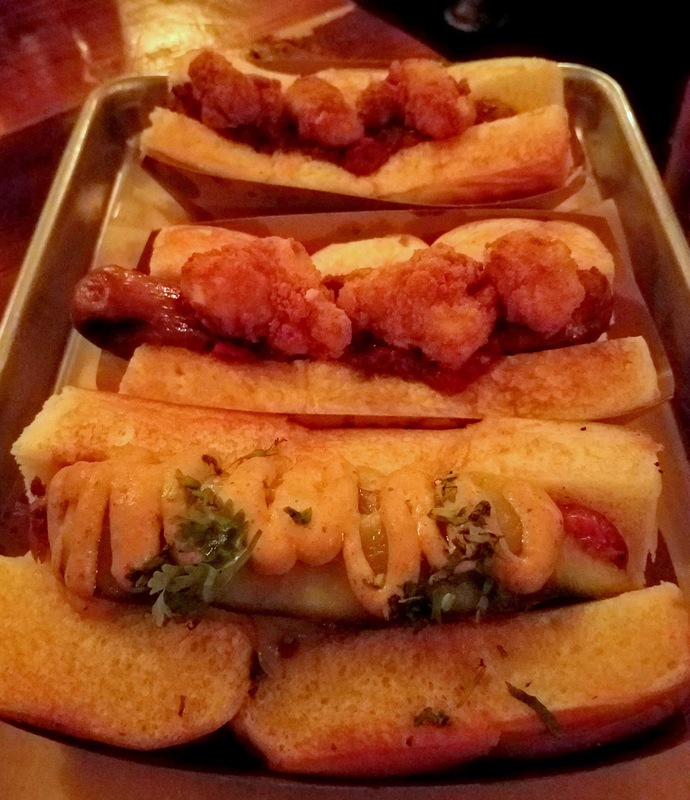 Low Fidelity Bar has started rolling out their food menu. 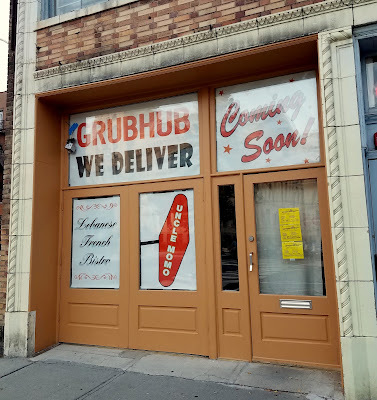 They currently have seasonal salads and sides available along with Detroit-style pizza and they'll have more coming up in the next few weeks. Squeeze'd has a lot to celebrate this month - they're celebrating their one year anniversary at 8 Springs Studio, they'll be opening a second location soon, and they've got new and improved pricing on their cleanse packages. Swing by the Grind Shop to celebrate National Coffee Day with $1 small drip coffee. Kick off the fall season with Oktoberfest at Departed Soles. 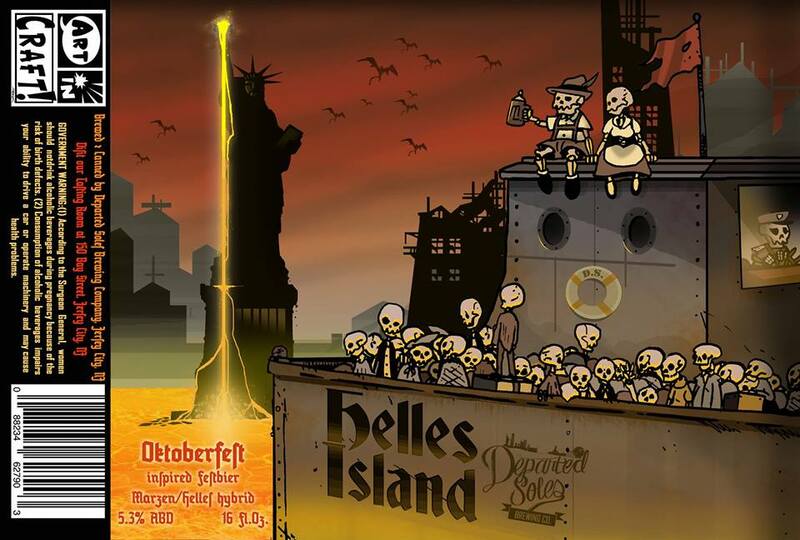 They'll be releasing their very first lager, Helles Island and they'll have custom, limited edition steins available in the tasting room to give it a proper Oktoberfest tasting. They're also releasing Kimberly, a milkshake IPA. 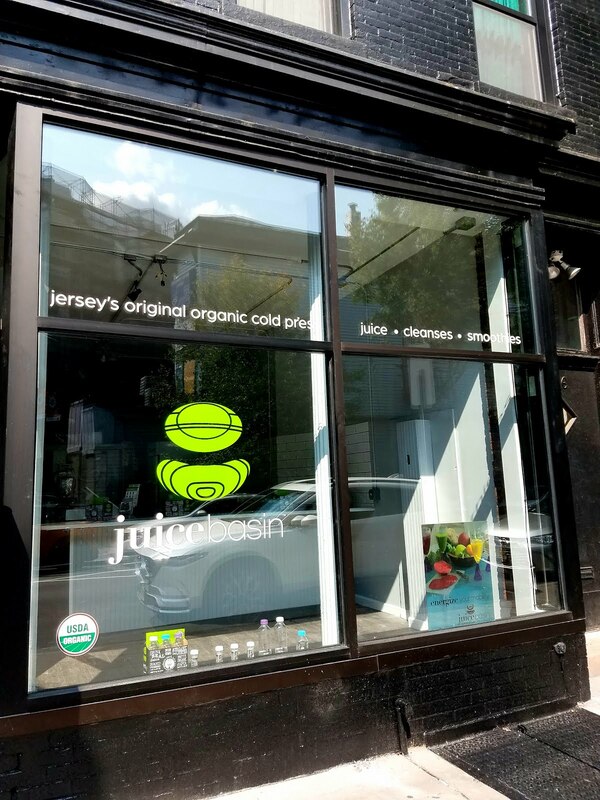 Juice Basin is launching the soft open of their new Jersey City location at 336 Second Street today. After a long period of renovation, Renato's Pizza Masters finally debuted their new and expanded space last week and it looks great. Passerby on the Pedestrian Plaza yesterday were taken aback to see a new sign at Raval, 136 Newark Ave, showing the name Pasta e Vino. This Sunday, October 1st, the Riverview Farmers Market will host the People's Choice Apple Dessert contest. 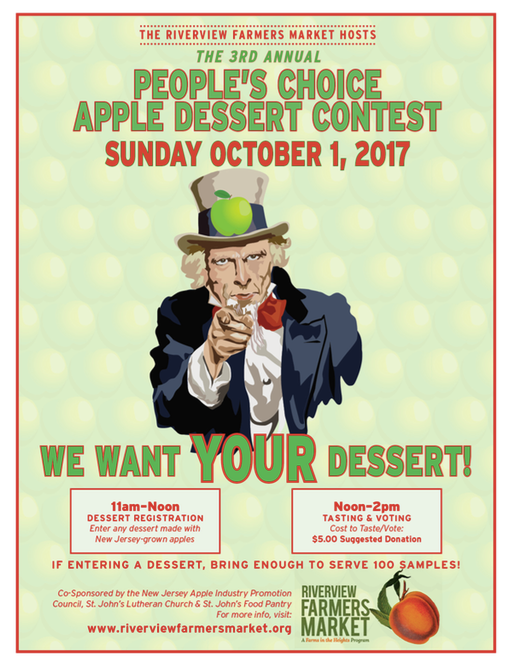 Anyone is welcome to bring an apple dessert made with NJ apples and anyone is allowed to taste and judge for a $5 ballot fee. 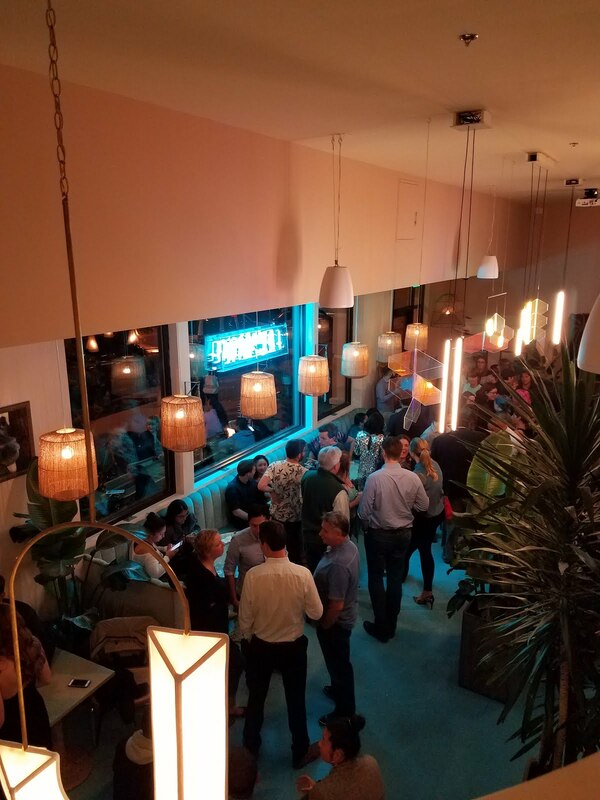 Congratulations to Whealth who have now officially opened for business 7 days a week at 615 Pavonia Ave.
For the next week through 10/1, Third & Vine is featuring the gin-based Bee's Knees cocktail. $2 from every cocktail sold will go to organizations to help support and protect bees. Whealth is hosting another Friday night dinner in their new cafe at Journal Squared. A $45 ticket will get you three courses of 2-3 farm-fresh tasting plates to share including this week's flambeed Peach Cassese. This Saturday is the 8th Annual Hamilton Park BBQ Festival! The Festival runs from 12pm - 8pm on 9th Street and W. Hamilton. There will be live music, vendors, and lots of barbecue! Look forward to food from Carlito's (try the brisket taco), Dinosaur Bar-B-Que, Hamilton Pork, Pet Shop (vegan options), Milk Sugar Love, and more. 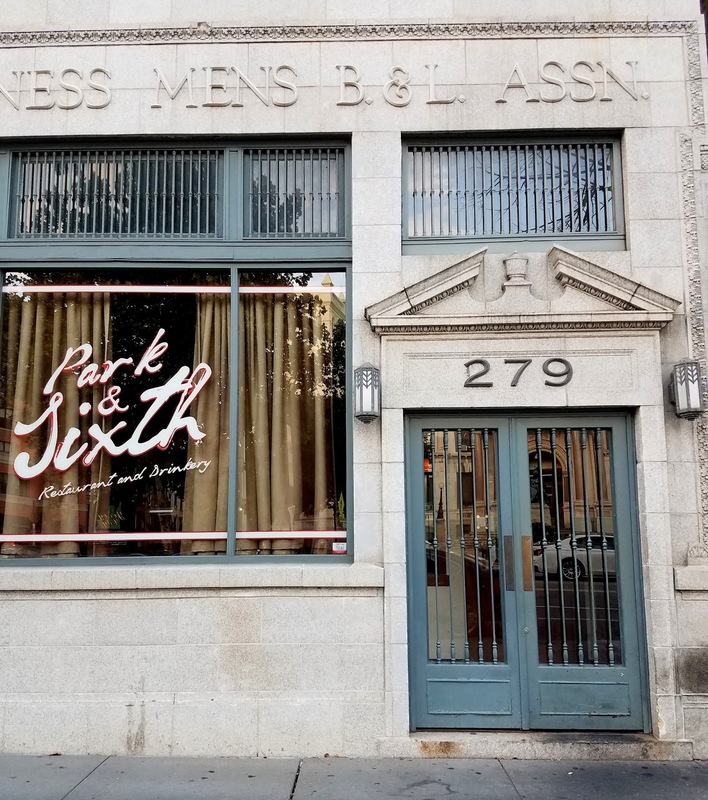 Although no formal announcement has been made, Park & Sixth reportedly closed their doors a few weeks ago after months of whispers it was for sale. 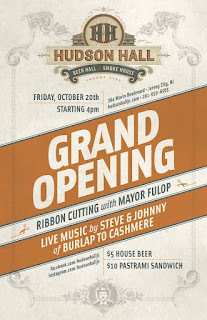 Hudson Hall is scheduled to open to the public this Saturday, 9/23. Congratulations to Razza on receiving a three star review from the NY Times this week. The Pinwheel Garden, a new dumpling and noodle house in Lafayette, has started hosting soft opening events for a select audience. They anticipate opening to the public at large next month. The 8th Annual Hamilton Park BBQ Festival takes place this Saturday 9/23 from 12-8pm in support of the Hamilton Park Conservancy. Expect a variety of barbecue vendors, drinks, music and more. 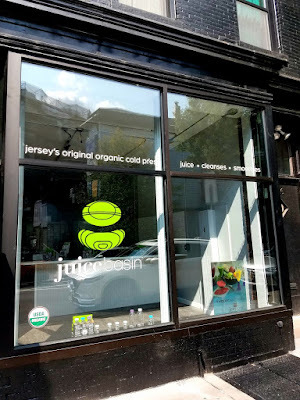 Downtown Jersey City can expect to see a new butcher shop focused on local and sustainable products opening up early next year.